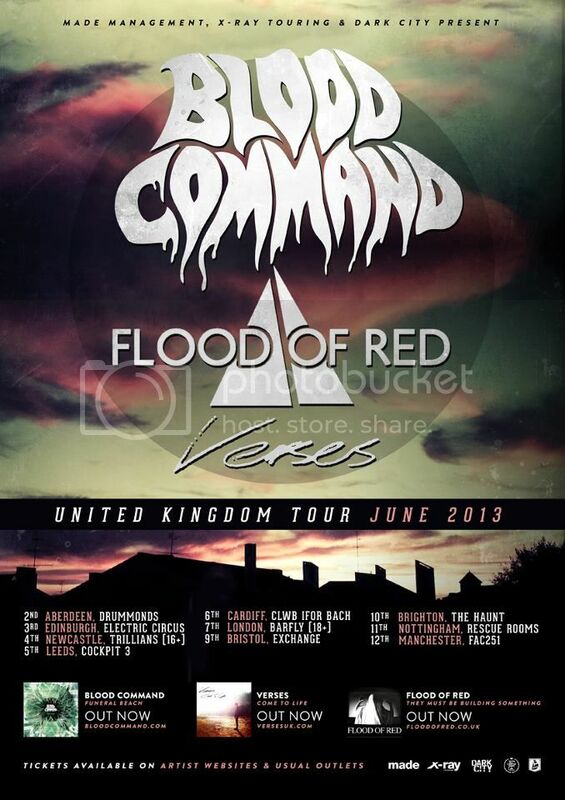 HomeNewsNEWS: Blood Command reveal headline UK tour details for June 2013! NEWS: Black Veil Brides add three more dates to December 2013 UK tour! NEWS: Blood Command confirm details for second album, ‘Funeral Beach’! NEWS: Radstock Festival adds 11 new acts to complete its 2014 line-up, including Bleed From Within, Hacktivist and Heart Of A Coward! NEWS: Second wave of bands confirmed for Hit The Deck Festival 2012 line-up!